Having experimented with photography throughout our entire lives, we have been reasonably exposed to "taking pictures," but not so heavily exposed until more recent years to the advancing technologies in digital photography. While the artistic eye (photo composition) is something that can be revealed through any camera, there are notable image enhancements that come with higher end camera gear. As we have primarily used Canon equipment through our lives, it was a sensible decision to go with the high end Canon 5D Mark IV when we had the opportunity to upgrade our equipment. Gone now are the days of point-and-shoot cameras like the Canon Powershot, and beginner DSLR's like the Canon Rebel T6. To be fair - both of these cameras serve there purpose well enough, and if your are a photographer on a budget, they could be easy considerations for purchase. This is especially true if you are just starting off. Our most significant jump to the Canon 5D Mark IV (and secondary 5D Mark III bodies in addition) came as a direct result of setting up our photography business. Prior to purchasing, we had done some investigating into popular camera bodies used by photographers, and spoke with some more established photographers in our area, to get a sense of the most popular and "best" cameras. It was pretty apparent that, of those photographers using Canon equipment, the Mark III and Mark IV were staple bodies. There is no doubt in our mind that just because something is popular means it is actually good, or worth the price tag. It begins to be serious business when it comes to purchasing a camera body when you are talking about dropping $3,000 - $4,000 just on the body - not to mention the need to then equip that body with some good quality lenses. As you might imagine, if you know us at all, there was much back and forth discussion about whether this was a necessary purchase, and whether it would compliment our photography style and business well. Every photographer likes to glamorize their camera equipment, it's just human nature to put the things we like and that benefit us on a pedestal. Before we even begin to discuss the positives of this camera body, and how it directly benefits our photography work and hobby - it is important in our minds to immediately highlight some areas where this camera body negatively impacts our work. Fortunately, there are not a huge number of things to list, but those that come to mind are worth, at least, considering and being aware of before you make a purchase of your own. Auto-Focus (AF) Issues - it is well known and documented that the Canon 5D Mark IV suffers from focusing problems. The extent to which your particular model may encounter this will vary, but it is important to highlight because this is something that can be dreadful - especially as a wedding photographer needing the focus to work every time. Fortunately, in our case, having worked a full years worth of weddings, engagement sessions, family portraits, and personal photography projects - this focusing problem has only been noticed minimally, and thankfully never during the most important shots of the day. We wrote a small article discussing some workarounds to get your Mark IV to focus better as well you might want to check out. Substantial difference in RAW image quality compared to Mark III - this is seemingly minor, and maybe only relevant to our specific workflow, but worth noting as it does impact our workflow quite heavily. There are certain attributes that you expect to change from camera body to camera body as a new model is released. It is reasonable to expect crisper images, better color depth, more details in the shadows, etc. from the Mark IV. In general, when reviewing camera RAW files, this is a reality. However, when editing images from a single weddings wherein photos are taken on both Canon bodies - it becomes a substantial challenge at times to create uniform photo edits in Lightroom. We have encountered many instances where shooting at a similar angle, in the same environment and lighting conditions (and at the same time as we often do) result in requiring substantial tweaks to the same edit. Given that photo editing is the most time consuming part of our photography business workflow, it is tough that the differences end up providing a negative when working with both camera bodies. As you read this section, it's important (again) to remember where we come from when it comes to camera gear. We started on cheap point-and-shoot cameras (~100$), then moved up to the Canon Rebel series ($400 - $600), next jumping to the Canon 5D Mark III ($2,000 or so these days), and now the 5D Mark IV (retails around $3,000 - we had purchased for $4k ourselves!!). We're sure there were some other camera experiments in between, like taking photos on our old flip phones thinking we were cool. For us, there has been a very natural and reasonable progression in our camera equipment. We were never just handed high end equipment, and had to be selective in what we were purchasing. For us, The Canon 5D Mark IV meets these wants very well. One lure about the Canon 5D Mark IV when compared with the already great Mark III was that we had heard it performs better in low light conditions. We sometimes get nervous when bumping the ISO, but in many situations it is entirely possible to do this without introducing so much grain that the image becomes unusable. As wedding photographers, in particular, this is a useful feature because there are some environments that cannot be controlled with on/off camera flash setups - because of time, ability to setup, or just frankly an inability to use these things in certain environments (like in churches where flash photography is often not allowed!!). If you work in high stress and difficult to control environments like a wedding, the jump from the Mark III to Mark IV makes total sense. Another feature of the 5D Mark IV not found on previous Canon models is the ability to connect your camera to your phone using WiFi. This was a feature we had heard about, but didn't actually expect to have a practical purpose for using. Boy, were we wrong! Our first experiment with using this function was setting our camera up on a tripod in our backyard, and taking some self portraits as we experimented with posing ourselves - to get a feel for what our clients might experience. The Canon app (available for Android and iOS) is really intuitive, and powerful that you can manually adjust exposure settings right from the phone. Seeing the results on screen in live view makes it feel like we were using a video camera as opposed to a photo camera. On our travels in Iceland, we used this to great effect for some landscape shots, particularly those requiring long exposure times and no movement or bumping of the camera. This was excellent for dialing in settings for capturing the aurora borealis, and getting the right long exposure effect on the flow of water down waterfalls. One last practical context came as the result of a unique request from a client during a wedding. They wanted a shot of the outdoor part from across a lake at night - capturing the party going on in full effect. This immediately draw in our minds the needs of astrophotography, and without this live view feature, it would have been a substantial difficulty to figure this out in the woods and in the dark. In addition to this, the app also allows you to send photos directly to your phone or laptop via wifi connection. This is useful for photographers who might want to quickly share an image they just took to social media, or even edit quickly on the mobile version of Lightroom or Photoshop. Should you buy a Canon 5D Mark IV? There are many great features that the Canon 5D Mark IV brings to the table, and a few notable setbacks as well. For our wedding photography business, this camera body, when equipped with high quality lenses, has potential to output some beautiful and crisp images. As wedding photographers, one thing we do not want is to go to a venue under-equipped for the job. Due to technical limitations of some lesser Canon camera body models, such as not being able to push the ISO higher and still have usable images, it makes the investment into the 5D Mark IV a no brainer for us. To put it simply, you should buy a Canon 5D Mark IV if the benefits we have described resonate with you, and if it is reasonably within your budget. Given that we would have recommended it at the introductory price point, and it has since dropped over $1,000, the current pricing is beginning to feel more and more like a steal (you know...as much of a steal $3,000 camera body can feel like). If you do make the purchase, be sure to watch out for special 5D Mark IV package deals. We've seen some online that include other goodies like SD cards, lenses, printers, etc. 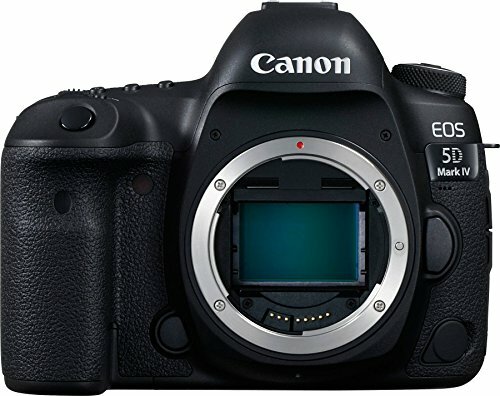 If you are looking to purchase the Canon 5D Mark IV, consider doing so through our Amazon referral links. Each purchase supports Hand and Arrow Photography so we can continue to produce quality articles and expand our adventures in photography!